We’ve put together lots of useful information for you on the links below, but for general information the following websites are useful. Your midwife and obstetrician continue to care for you after your baby is born for between 2 and 6 weeks. The Healthy Families Team will offer you additional care and support if you or your baby need it. You can also access advice and support by booking an appointment at a Healthy Family session or phoning the advice line. The Healthy Family Teams are based at local health centres and in some local children’s centres. There is a single Healthy Family Team telephone advice number for each area. You will be given a hand-held record after your birth, often called the Red Book. This has important information about your baby’s health and development and includes information, hints and tips. If you breastfeed support is available from your Healthy Family Team. You can find more information here. Breastfeeding improves the health of both baby and mum, but it’s not always easy. If you choose to breastfeed, a range of local support is available from your midwife, Healthy Family Team and via BABES breastfeeding groups. Before your baby is born, The Healthy Families Team will support you in a small group or one-to-one discussions. After your baby is born, they can visit you at home or see you at a breastfeeding group or community venue. They will answer your questions, resolve difficulties you may be experiencing or just talk about how your baby's needs will change. There are also two Infant Feeding Advisors who can support those who require additional advice or support. Referral to this service is through your health professional (GP, Healthy Family Team or Midwife) or children’s centre. See this leaflet for tips to increase milk production for baby. Having a baby affects your mood and emotional health, and some mums can develop post-natal depression. It’s important to talk about how you’re feeling, and help and support is available from your Healthy Family team. Having a new baby can be a wonderful time but it is also very challenging for parents, it’s normal to experience changes in your mood and mental health, but sometimes they can be more serious. These feelings can also affect your partner. It’s important to talk about how you’re feeling with your Healthy Family team, and your family and friends. 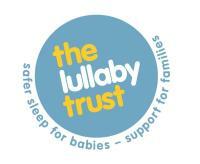 The Lullaby Trust have pulled together lots of information and advice giving you simple steps for how you can sleep your baby to reduce the risk of sudden infant death syndrome (SIDS) which is commonly known as cot death. It can give you the peace of mind to enjoy this special time. The Lullaby Trust's advice is based on strong scientific evidence and should be followed for all sleep periods, not just at night. If you have any questions about SIDS or safer sleep, please call their information line on 0808 802 6869 (lines open Monday-Friday 10am-5pm). Start vouchers, you can also get free Healthy Start vitamins from your local Sure Start children’s centre or health centre, and it’s important you use these. If you’re not eligible for the Healthy Start scheme, you can buy Healthy Start vitamins at a small cost of £0.90 for the women’s supplements and £1.65 for the baby and children’s drops from your local children’s centre or health centre. Who should take Healthy Start Vitamins? Vitamin D is important for everyone, but especially for the groups listed above, as it helps to keep bones and muscles strong and healthy. Healthy Start vitamins include Vitamin D - if you choose not to take Healthy Start vitamins we recommend you and your family takes a Vitamin D supplement. Speak to your midwife, Healthy Family team or children’s centre. Everything that happens to a child within the first few years of life shapes their future success. Early experiences influence how well children do at school, their life-long health and wellbeing, and their achievements later in life. Monitoring your child’s progress, providing a good learning environment at home, and going to high quality early years childcare settings are key to ensuring your child has good development. visiting www.nottshelpyourself.co.uk to find a variety of local groups and activities for you and your child to enjoy together. Accessing high quality childcare when you return to work – (link to NHY work and volunteering tile). You can visit https://www.gov.uk/childcare-calculator to find out if you can access help to pay for childcare, and for information about childcare in your area visit here (link to NHY childcare landing area). The impact of these experiences is long lasting. They give children confidence and hep to prepare them for school and beyond. You will receive a 2 to 2.5 year review from the Healthy Families Team including an assessment of your child’s social, emotional, behavioural and language development. If your child is in an early years setting they will also have a 2 year progress check. If your child needs extra support with any area of learning your Healthy Family practitioner and your early years childcare provider will work together with you to agree appropriate support. This is known as an integrated review. Your Healthy Families team can offer support around health, wellbeing and development including sleep, toilet training, feeding and healthy eating, language development and much more. Most children have times when their behaviour can be less than “perfect” – this is a normal part of growing up, but for mums, dads and carers, it can cause challenges, especially when their child’s “tantrum” takes please in a busy supermarket, with on-lookers watching. Don’t worry, we’ve all been there and although children don’t come with a “User Manual” there are some tried and tested tips that can help you manage your child’s behaviour and how you react to them. The most important thing is to stay calm, count to ten, have realistic expectations so you don’t put pressure on your child and yourself and praise the behaviour you want more of. This leaflet gives more information. Your local Children’s Centre Service can offer lots of support and advice, including one to one family support within your own home and groups such as Incredible Years, EPEC Being a Parent and Solihull Approach. Most parents start thinking about potty training when their child is between 2 and 2 and a half, but there's no perfect time. Some people find it easier to start in the summer, when there are fewer clothes to take off and washed clothes dry more quickly. Try potty training when there are no great disruptions or changes to your child's or your family's routine. It's important to stay consistent, so you don’t confuse your child. have left care through special guardianship or an adoption or residence order. your child receives Disability Living Allowance. your child has an Education Health and Care plan. Please note: our system will only allow parents or Customer Service Centre to submit applications up to 16 weeks before the term in which the child would be entitled to start their free place (see dates in previous paragraph). If it is more than 16 weeks before the term start date then you will not be able to proceed with your application. Please apply at a later date in this instance. Places are available in Ofsted-rated Good or Outstanding providers on the Nottinghamshire directory for up to 15 hours per week for 38 weeks per year (term time only). All 3 & 4 year-olds are entitled to 15 hours of free nursery education for 38 weeks of the year. Free early education places are available at a range of early years settings including nursery schools and classes, day nurseries, pre-school playgroups and childminders. You can take the free entitlement at up to two providers. The basic offering is three hours over five days a week, or five hours over three days a week, but many providers will allow you to take the provision flexibly, in a pattern that meets your needs. For example, your child could have nine hours at a nursery or reception class and six hours with a playgroup, day nursery, childminder or independent school over the course of two days or more. All 3 & 4 year olds are entitled to 15 hours of free early learning and care, over 38 weeks of the year. children who are three in April, May, June, July or August can have their free place from the start of the autumn term. children who are three in September, October, November or December can have their free place from the start of the spring term. You can find details of Nottinghamshire term dates on our schools page. The Provider may make a reasonable charge for meals provided to children during the day where the parent has consented to this in advance or been given the option to provide a packed lunch. As of the 1 April 2017 free school meals for Early Years children will no longer be available. This is due to changes in funding. by contacting the School Admissions and Free School Meals team on 0300 500 80 80. This is for the purpose of Pupil Premium and future free school meal applications when your child is at an eligible age (this is dependant on eligible benefits). free school meals factsheet [PDF]. All parents and carers who have children aged 3 & 4 are currently entitled to 15 hours a week funded childcare. For working parents, this has been doubled to 30 hours a week. If you don't meet the criteria for extended free childcare, all 3 & 4 year olds are still entitled to 15 hours of free education at a range of childcare providers for 38 weeks of the year. Parents cannot claim their 30 hours if their child is in a full-time reception place or has reached compulsory school age. Can I use any childcare setting that I like? If you are entitled to the free entitlement you will be allowed to use any childcare setting – the only requirements are that the provider is Ofsted registered and approved to offer Free Early Education (FEE) places, and that they have space to take your child. Can I split the 1140 hours over more than one setting? Yes, parents are allowed to split the free childcare across providers. Providers can only refuse this if they have a legitimate business case for why they cannot allow split hours. Can I use my free childcare across the whole year? Yes, the extended childcare offer has been introduced to support parents to have better access to more flexible childcare whilst at work and to enable you to increase the number of hours worked. This means you can use your childcare to cover school holidays if needed. If you use your childcare in term time only (38 weeks per year) you will be entitled to 30 hours free childcare per week. If you use it over the whole year (52 weeks), you will be entitled to approximately 22 hours per week. My child has special needs – will they receive sufficient care in the additional funded hours? Every family should have access to good quality childcare that meets their needs. The Government are introducing a Disability Access Fund (DAF), this is a one off annual payment to the childcare setting (if a child takes their funding at more than one setting it will be the parent/carers choice as to which setting receives the additional funding). How do I apply for the additional hours childcare? Parents/carers should apply during the term that their child turns 3 so that funding can begin at the start of the following term. Upon successful application parent/carers will receive an eligibility code to give to their chosen childcare provider. Parents may receive eligibility codes before their child is three but they can only start claiming their 30 hours place the term following the child’s third birthday or the term following the date the eligibility code was issued (whichever is the later). If a child is taking up their universal 15 hours entitlement and a parent becomes eligible for 30 hours part-way through the term, the parent can start claiming their additional hours from the start of the term following the date on which they received their code. After school clubs provide a safe and fun environment for your child when school closes at the end of the day. Most afterschool clubs are open until 6:00pm. The clubs are often run by schools, but can also be run by external organisations on, or away from the school premises. Breakfast clubs give children the opportunity to eat a healthy breakfast in a safe and fun environment before their first class. Attendance of a breakfast club is not mandatory. The clubs are often run by schools, but can also be run by external organisations on, or away from the school premises. Childminders are self-employed childcare professionals working in their own home. Childminders can usually care for a maximum of six children under the age of 8 years, and are inspected and regulated by Ofsted or a registered Childminder Agency. Each Childminder may offer different opening times and many can be flexible to cater for your requirements by sometimes offering childcare into the evening or even overnight care. Many childminders can offer free childcare places for 2, 3, and 4 year olds. A crèche is a facility that provides occasional care for children under eight for no more than two hours per day. Crèche’s are sometimes located in order to support parents accessing training, or learning in their community. Day nurseries provide full day care for children aged 0-5 years. Each nursery will have separate rooms for the different age groups of children, which will contain age appropriate toys, and equipment. Day nurseries are registered and inspected by Ofsted. Day nurseries offer free childcare places for 2, 3 and 4 year olds. Holiday clubs cater for school age children during the school holidays and provide a safe, stimulating and fun environment for your child to be. Some holiday clubs are school run within the school site, or run by external organisations either on, or away from the school premises. Many Childminders also offer care to school age children during school holidays. Pre-school playgroups offer free sessional childcare for 2 to 5 years and will prepare your child for starting school. Pre-school playgroups are inspected and regulated by Ofsted. There's lots of activities and groups available for you and your child to enjoy. Sometimes it's just knowing where to find them so that's why we've put them all in one place for you. A Children’s Centre is a place, or group of places, where local families with young children can go and enjoy facilities and receive support that they need. Sometimes support may be offered in the home. The facilities and activities are designed especially for parents expecting a baby, or those with a child under 5 years old. Their staff are fully trained to deal with individual needs a child might have, and work with many partners to ensure they can support families in whatever area they need. This service offers free support and guidance on all aspects of family life to parents and carers across England and Wales. Helpline, Befriending and Counselling support are available via telephone, email and text message. The service is free and available 6pm - 10pm on weekdays and 10am - 1pm on weekends.